My friend inspired me to try this recipe. 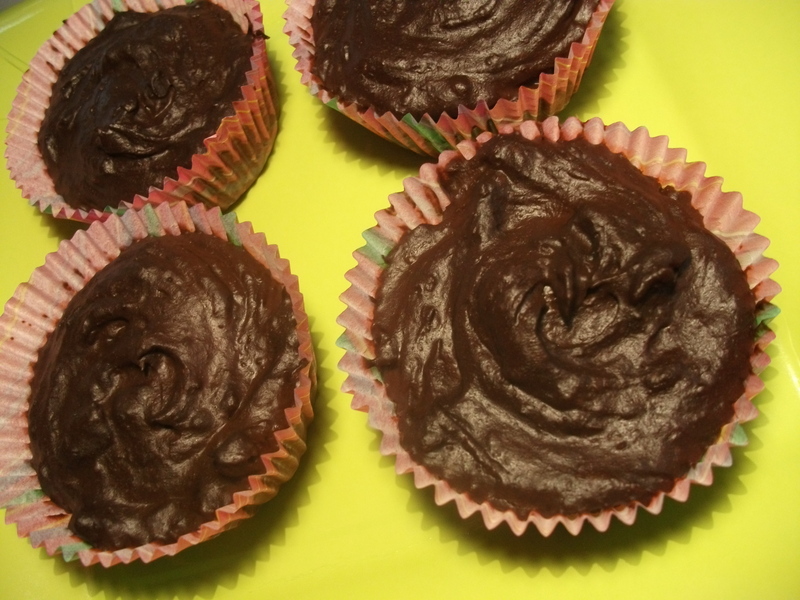 It will take you around 20 minutes or less to produce a batch of the most delicious cupcakes you’ve ever tasted. 100% chocolate, no cooking, no eggs or flour, minimum mess. If you are not into raw/ vegan food, then you’ll need to get some relatively expensive items from the health food stores/ sections: cocoa powder (and it is crucial that you get a really good one, not the no-name stuff from your regular food store), coconut butter and almond butter (budget around $10-14 for each of these items, but you’ll use them for other desserts too). Ingredients: 4 Tbsp cocoa powder, 3 Tbsp coconut butter (leave it out for a couple of hours before using it; you want it to be in a liquid form), 2 Tbsp honey, 2 Tbsp almond butter, a pinch of salt. Optional: a bit of rum, any type of nuts, raisins or dried fruits. In a big bowl, mix cocoa powder with coconut butter and a pinch of salt. Add the honey and the almond butter. If using any of the optional ingredients, add them now too. Line a muffin pan with muffin paper cups. Spoon the mixture into the muffin cups and gently press the contents to homogenize. Put in the fridge for 20-30 minutes (keep refrigerated when not eating them! ).